Mnangagwa travelled to South Africa on his first foreign trip as head of State, visiting a country where he sought refuge after being fired as deputy president early last month. He travelled to South Africa yesterday morning to persuade investors that economically struggling Zimbabwe is an attractive business prospect after the November 21, resignation of former leader Robert Mugabe, whose 37-year rule ended after a military takeover. Mnangagwa met South African President Jacob Zuma and remarked that he was happy to be back in the country. The former spy chief fled to South Africa after Mugabe dismissed him during factional fighting in Zimbabwe’s ruling party. The firing prompted a backlash against Mugabe and Mnangagwa returned to Zimbabwe, where he was sworn in as president. Mnangagwa delivered a powerful mea culpa in the climactic highlight of protests against him outside the embassy. “Whatever wrong we might have done to you, we need to forgive… I have forgiven the cabal and they are in the country except for only three who remain outside and still saying funny things but all that will soon come to an end,” Mnangagwa said. 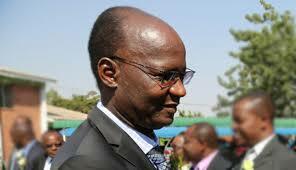 Jonathan Moyo, the former Higher and Tertiary Education minister was the alleged G40 faction chief strategist, together with Saviour Kasukuwere and Patrick Zhuwao. Moyo has repeatedly lashed out at Mnangagwa on microblogging site Twitter, claiming the incumbent was under a false sense of victory that would soon come to an end. Currently in the sanctuary of self-imposed exile, Moyo warned Mnangagwa that if he thought he had succeeded in taking over power, he has not seen anything yet. “Only an idiot would think it is smart for a genocidal junta to violently shoot itself into power to install a fellow genocidal ‘gukurahundist’ under the mantra of stockholder entitlement,” he wrote on Twitter recently. “If you and your lot think that will last, then you ain’t seen nothing yet; come rain or shine!” he said. Mnangagwa said Zimbabwe was now open for business and that his government was in the process of repealing polices that scared away investors such as the Indigenisation and Economic Empowerment Act that compelled foreign investors to cede 51 percent of their shareholding in local firms to locals.